From R.M. 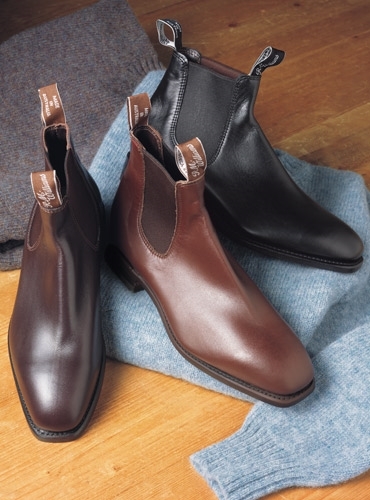 Williams, the "Craftsman" is a remarkable ankle height boot, suited to both rigorous terrain and casual weekend gatherings. 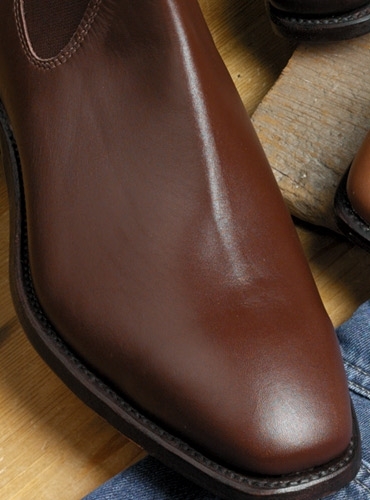 Constructed from a single piece of supple yearling leather, with one seam, to avoid chafing. Features elastic sides, easy pull straps, sewn welt, leather soles, flat heels, and classic chisel square toes. Made in Australia. 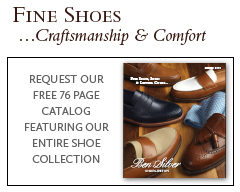 Available in sizes 7.5-14 in narrow, regular, or wide widths. 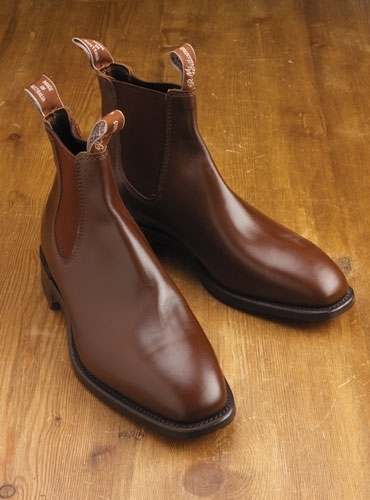 Featured in dark tan, but also available in deep chestnut (RMS-A) and black (RMS-D).